Responsive Agency, Microsite Experts, HTML5 Company Adicolor - Red or Blue? 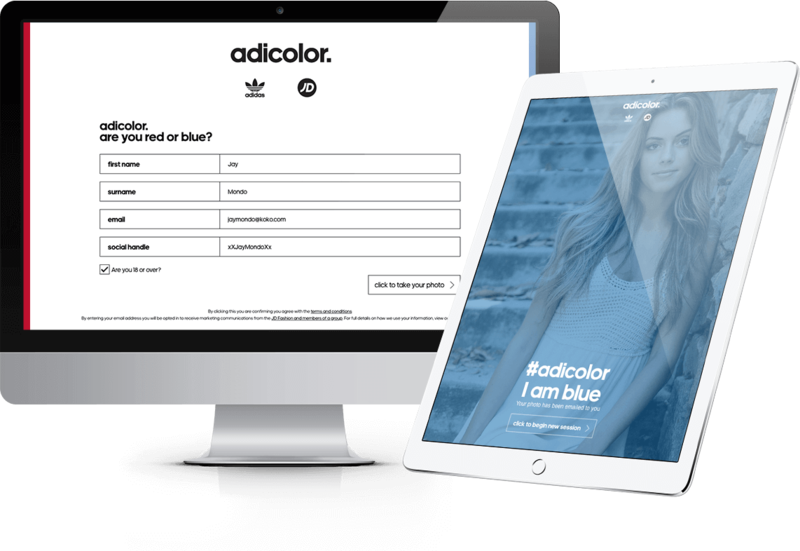 | Responsive, Microsite, HTML5 for Adidas | Koko Digital Adicolor - Red or Blue? - microsite developed for Adidas by Koko Digital. Adidas and Koko meet again, this time for a spin-off project from the original Adicolor campaign. We were really excited to work with the sportswear giants for a second time. Let’s go! Adidas were looking to add more of a social element to their wider Adicolor campaign. The client wanted to incentivise and reward visitors to the Liverpool Adidas store with a prize draw competition boasting prizes such as shopping vouchers or a holiday for four! Customers were to take a selfie, select Red or Blue, and then share on social media. Simples! The Adicolor Red or Blue? was a fully responsive data collection app with camera functionality. Users uploaded their selfie to Instagram and chose to add a red or blue colour to the image, along with a hashtag for their competition entry. 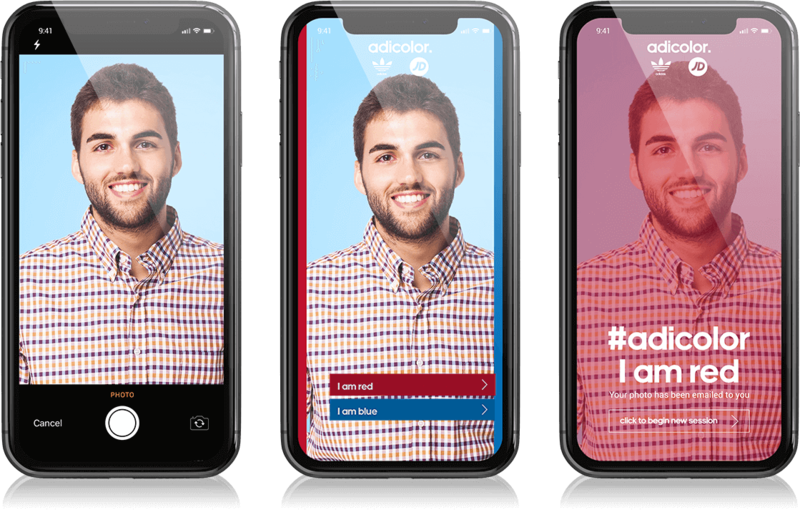 Email API supported the promotion by sending users a copy of their colour selfie. In terms of social reach alone the final numbers indicated a very successful campaign indeed!